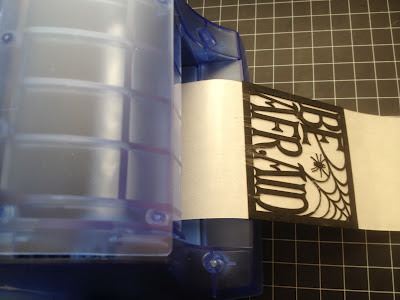 Today we have Suzanne Spokus and Jan Hennings sharing some fabulous projects featuring the all new "Halloween" collection by Quick Quotes and our favorite Xyron adhesive!!! Now here's Suzanne to share her project with us! I was so excited to put my Xryon 2.5" Create a Sticker Maker to work! I inked Quick Quotes' "Be Afraid" from the "Be Afraid" Bag 'o Chips set in black and ran it through. It was SO easy to have adhesive on all the intricate parts of it. The excess was easy to remove as well. 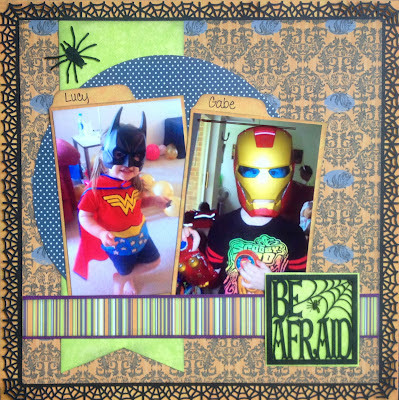 I used the laser cut as the title of my layout, which features our new Halloween Collection. I love these patterned papers! Martha Stewart Punch Around the Page "Spider Web"
Thanks Xyron for teaming up with Quick Quotes! Now here is Jan with some spooktacular creations for you! 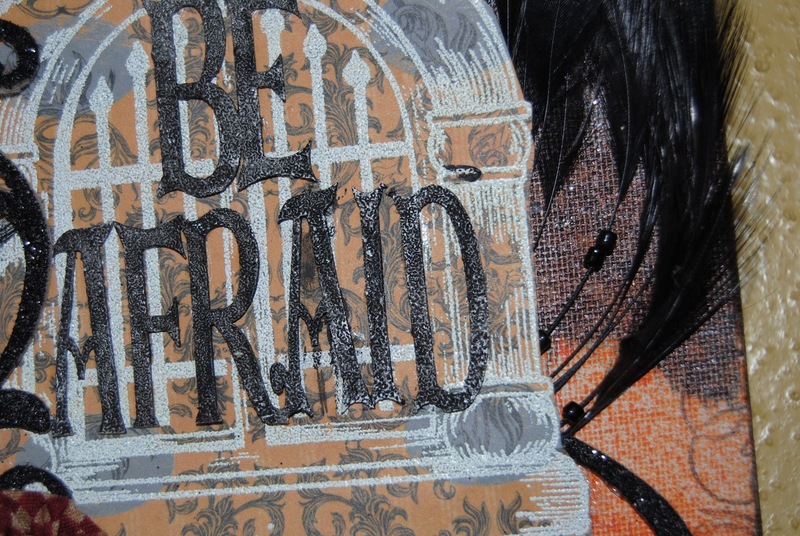 First up is this very cool, texture packed canvas. 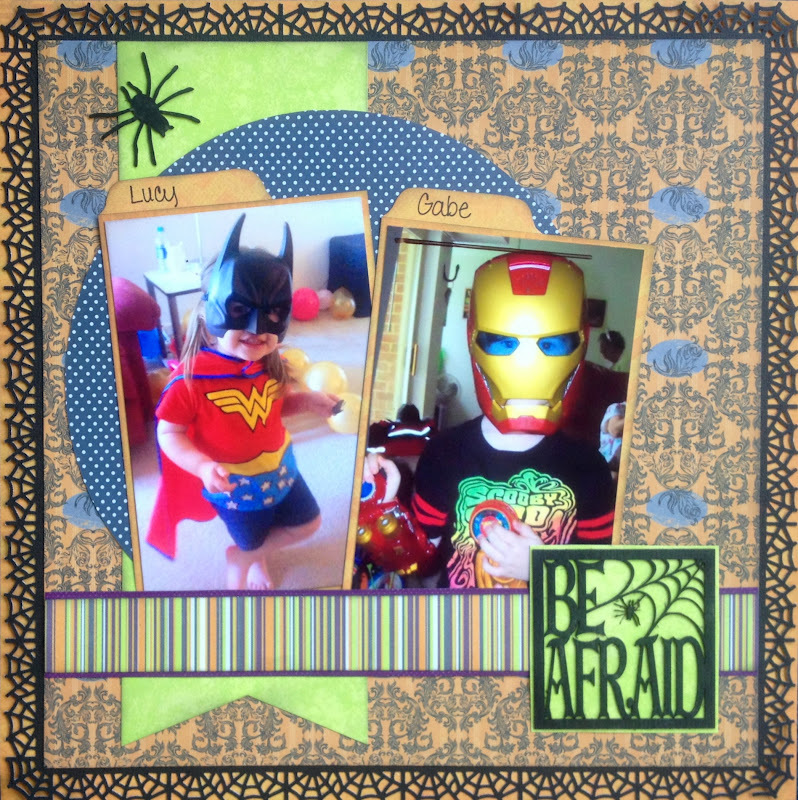 Love that masking and the stitching to the spider! 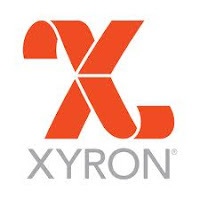 A special Thank You to Xyron for partnering with Quick Quotes this week! My Sticker Maker made these projects a breeze to create! Each day of this fabulous hop we will be giving away one Xyron Mega Runner and a grab bag of Quick Quotes goodies too! For the finale round of Private Reserve tuition winners! You are the lucky winners of Private Reserve tuition!!! How cool are those googley eyes on that scrap page? HAha, totally gave me a chuckle. 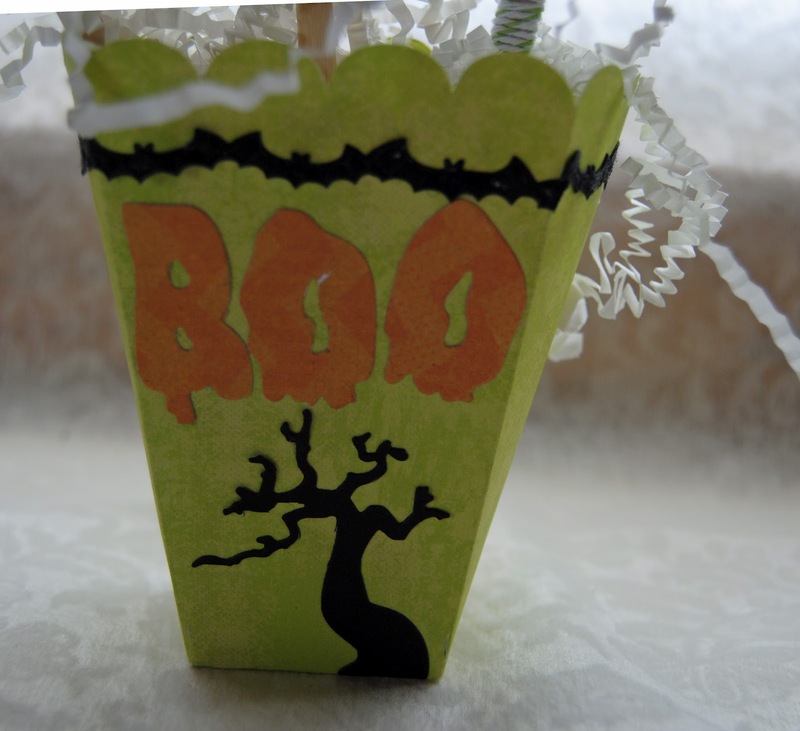 Love these Halloween projects! The first two made me even giggle a bit (love Wonder Woman in a Batman mask!). More great projects! 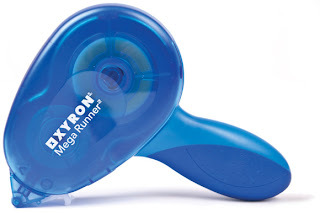 I always put my letters through the Xyron, but I never think of other stuff...chipboard....totally makes sense! Thanks! 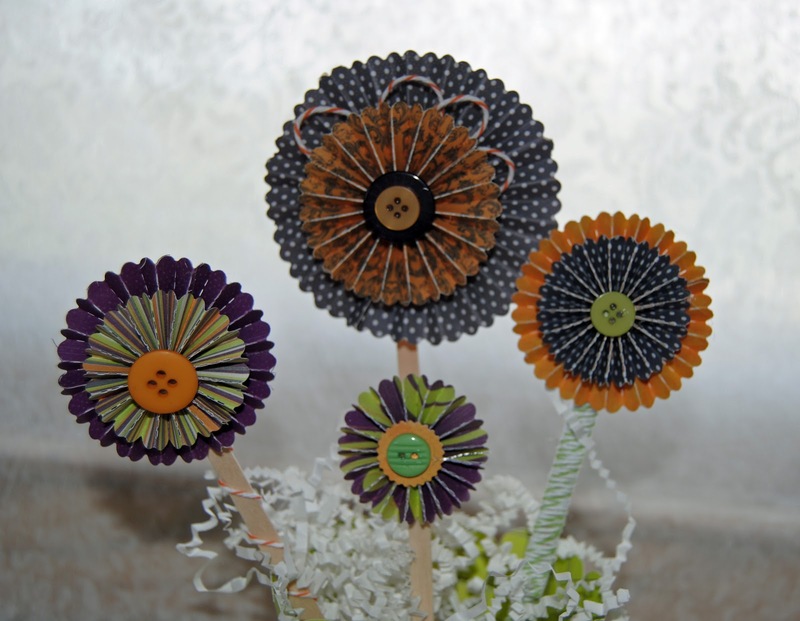 The pinwheel flowers are just so cute. And love all the techniques shown on the canvas. Love the altered canvas project, looks like a fun project. Loving all of the Halloween inspiration! The projects today are fabulous. I am loving that Be Afraid from the Bag 'o Chips. With at spider web in the corner it is just a perfect embellishment. And that canvas...how eerie would that be hanging on the wall for decoration. I am going to ask my lss to try to get some of the Halloween Collection in for us. What fun projects today. 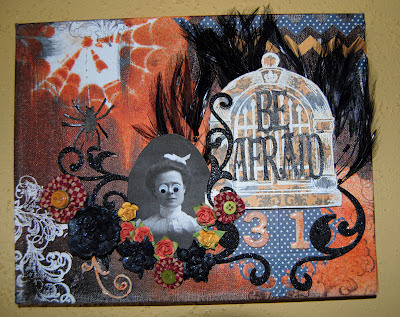 Love the altered canvas with the goggly eyes as well as the spiderweb used as a mask and on the canvas. 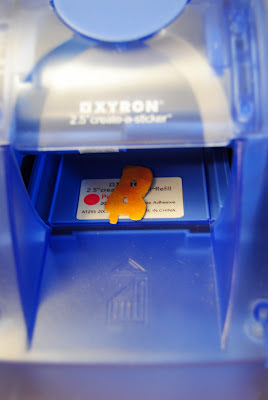 Love using Xyron to turn chipboard nad other things into sticky back for adhering. 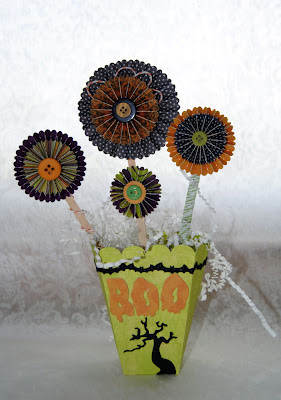 Love the rosette Halloween bouquet. I now know what my project for the neibors will be this year!! Love the Halloween ideas! Sooooo cute! Congrats to all the Private Reserve winner. Hope they enjoy their get away. The googly eyes really caught my attention. However I will have to give the bouquet a try for party decorations. very cool projects. tfs. i'm already a follower. I love the BOO bouquet! What fun designs today! Thanks for the share! Great Halloween ideas!! Thanks ! I just love those pinwheels. Great projects today. Hope I win. Oh my goodness, the Bag'oChips is always great... and that Be Afraid is perfect!! I love how easy it was to make the bag'o chips Beware sign into a sticker! Lovin these Halloween projects. Can't wait to put up decorations. 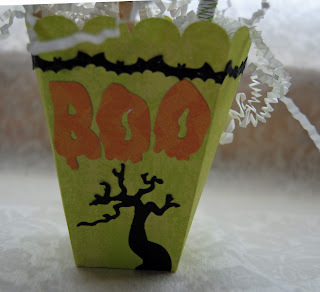 Definitely following you-I am loving all this gorgeous Halloween goodness! Theses projects are so cute and clever! Thanks for sharing! Congrats to the winners! The projects are nice. I love that bouquet. Anjie Simmons here. Love, love, love the google eyes! Wow these layouts are so spooky! You guys continue to inspire with your FAB papers, great Xyron techniques and totally awesome embellishments, especially those EYES!! TFS and for your continued generosity.....what a team!! So, so cute. I love the chipboards you have been using. Love the bouquet. There is just something about pinwheels that I think is really cool looking. Maybe I am reverting back to my childhood? Those googly eyes are creepy! I have a file full of Blog Quick Quotes emails and I have named that folder "Inspiration" since I get more inspiration from this site than any other. Those involved in this blog are extremely talented. Thanks for all the inspiration and the chance to win that adhesive runner that I have been coveting since its release announcement! congrats to the lucky winners.. all these projects are great thanks for sharing and the chance to win im a follower. I love these projects, thanks for the inspiration! Like the Halloween. Especially like the Rosettes. Love the eyes on the first layout and the flowers and container are great! Incredible Halloween projects and great job by the DT this week! I'm loving the new Halloween collection.